We bet you already can’t stop gazing at all the colorful food shots in this post. And we don’t blame you. We want to reach into our screens and devour everything. 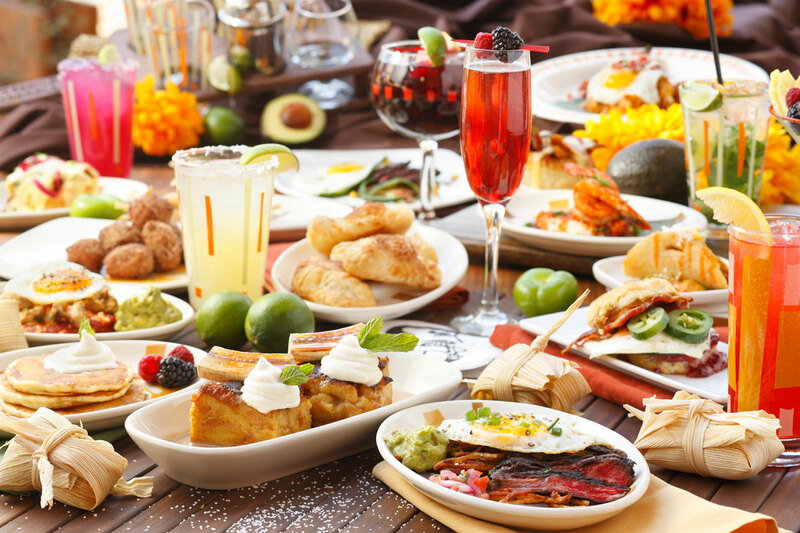 The great thing about this food is that you can order all of it – as much as you want – from both the Mandalay Bay and The Forum Shops Border Grill locations with their weekend brunch menu. 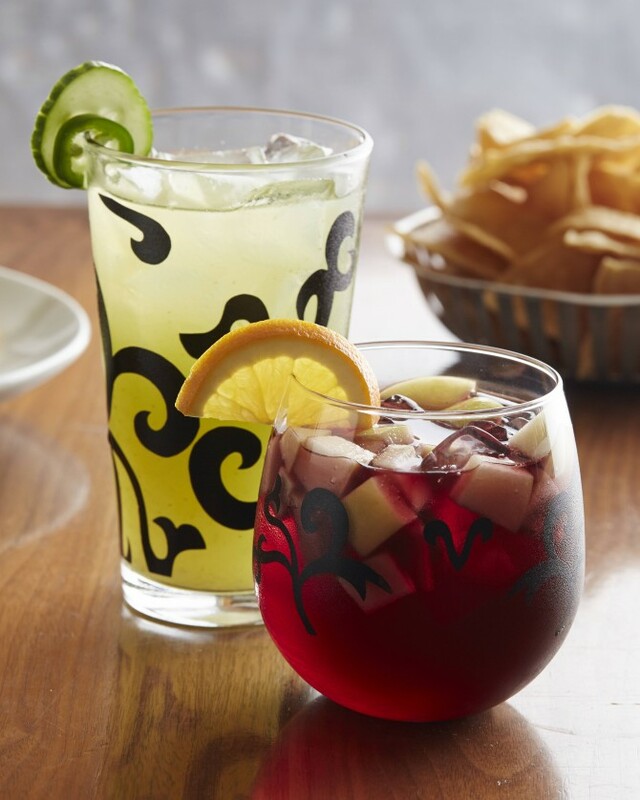 Priced at $34.99, you can order unlimited tapas-style brunch items. Throw in $10 more and that’ll get you bottomless mimosas. So for less than $50 a person, that’s not too bad. Considering that easily gets you three drinks at the club, it’s definitely not too bad. Bring on the brunch. 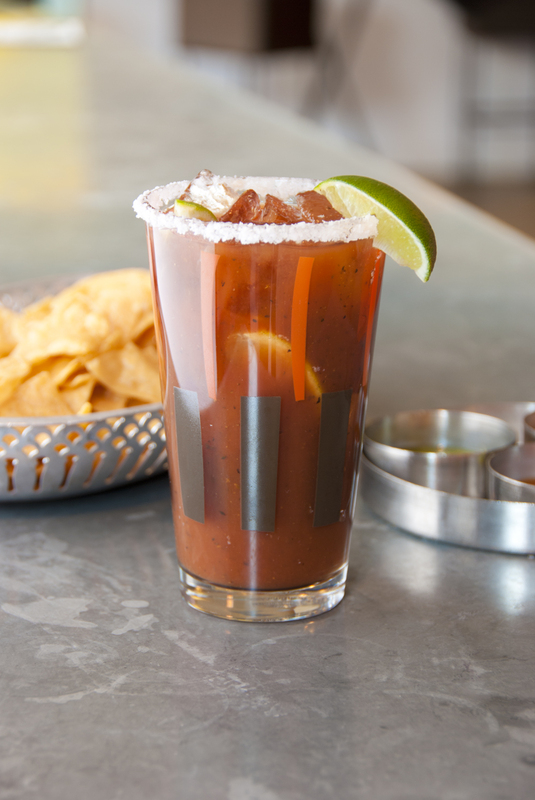 Your brunch includes free chips and salsa so you can munch while you wait. 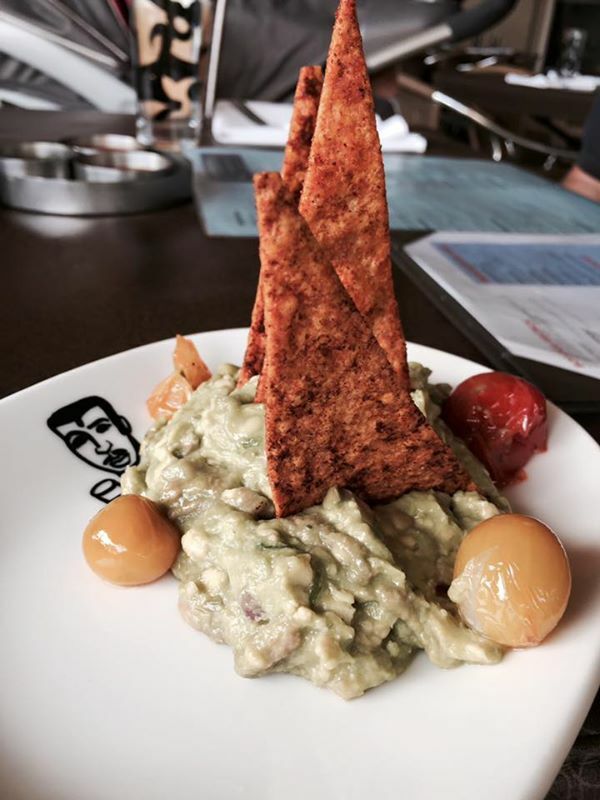 To kick off our brunch, the hubby and I shared roasted tomato guacamole. Guacamole is already good on its own, but the roasted tomato gave this a zestier kick. I could have easily gone for another round. My hubby is the one who ordered all the brunch plates since I’m vegan. 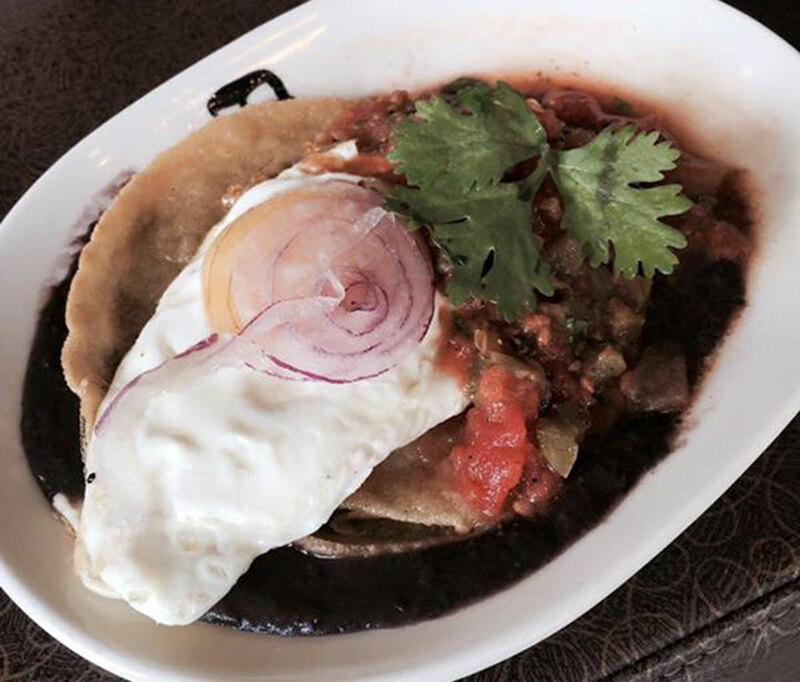 He started with the huevos rancheros with black bean panucho, ranchero salsa, Mexican cheese and a sunny side up egg. If you love Mexican food then you’re probably familiar with chorizo, a popular spicy minced pork staple. 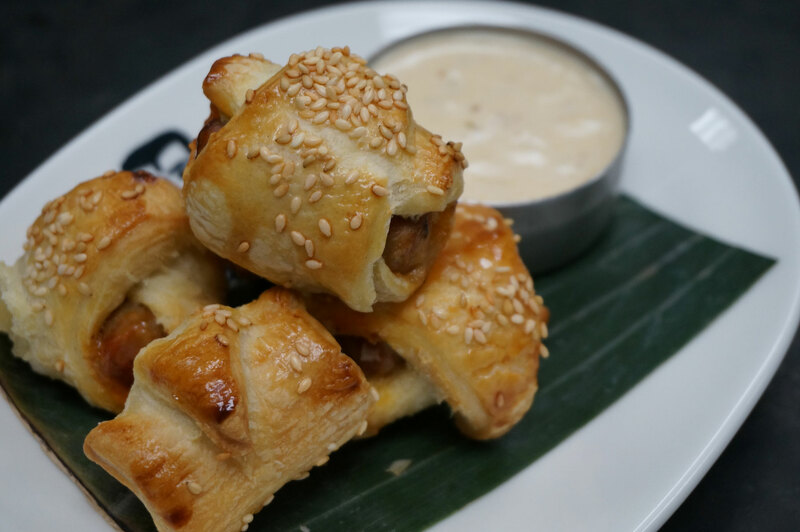 Here you can get pigs in a blanket with chorizo, manchego cheese sauce and mustard baked inside a puff pastry. 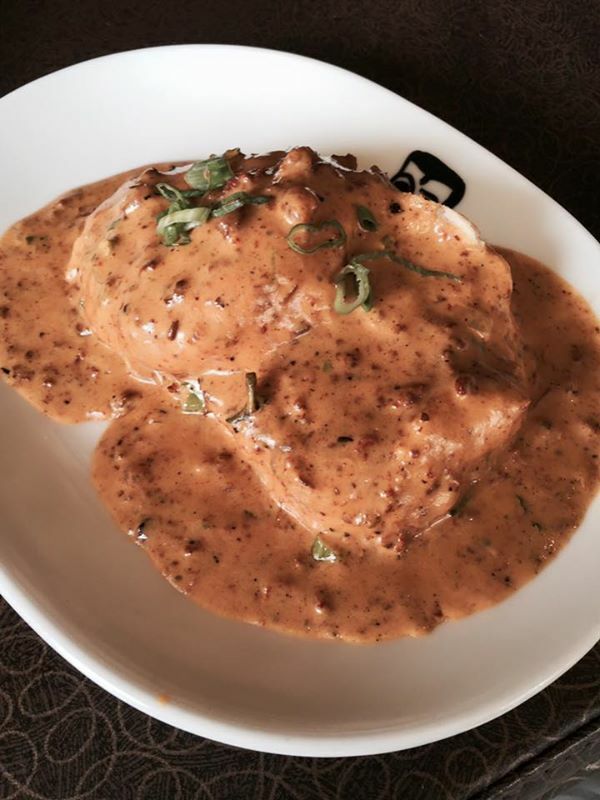 You can also order biscuits with chorizo gravy, which is an interesting swap for the traditional country version. New brunch items include the Serrano ham waffle with gooey manchego cheese and the barbacoa torta, a barbecued brisket with onion and carrot slaw served on a baguette. It’s similar to the popular Vietnamese Banh Mi sandwich, but with a Latin kick. 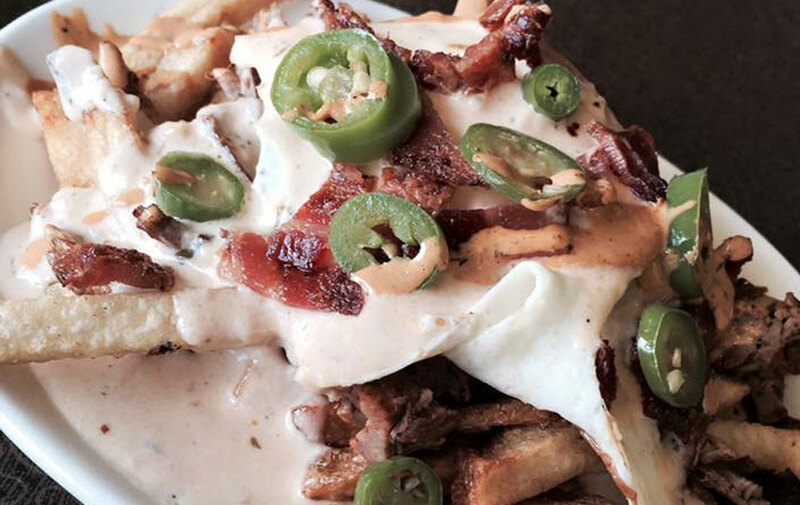 The hubby’s ultimate favorite was the breakfast fries, pictured above. This came with beer-braised short ribs and manchego cheese, topped with bacon bits, a sunny side up egg and fresh jalapeños. He loved it a lot, so I can see him attempting to make this at home. So what did the vegan eat? Fortunately, our server told me exactly which foods to steer clear from. She offered me something from the seasonal dinner menu, which worked perfectly for brunch. 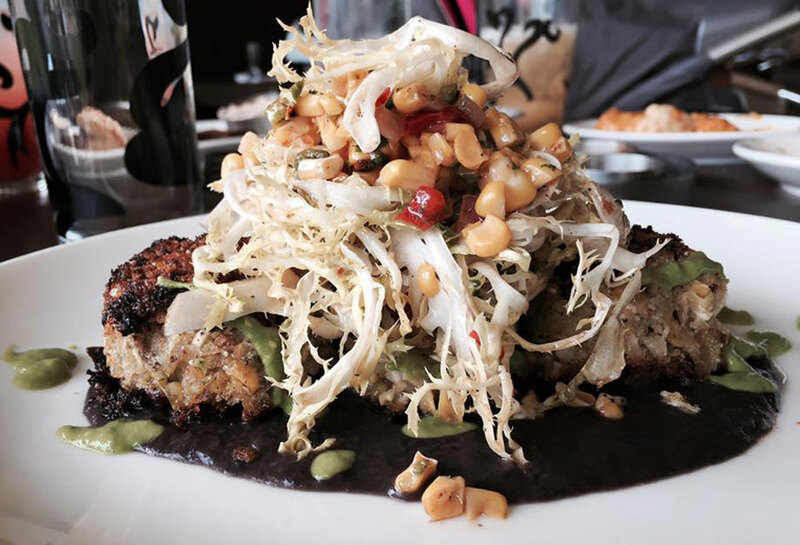 One of Mandalay Bay’s Border Grill specialties is the Crabless Crabcake, made with hearts of palm, corn relish, organic beans and avocado. Let’s just say it was muy delicioso. The texture was legit, too: If you gave this to someone who ate crab, we bet they wouldn’t be able to taste the difference. The flavors went together perfectly and I liked the slight crispiness of the crabless crab cake. Not a single crumb was left behind. 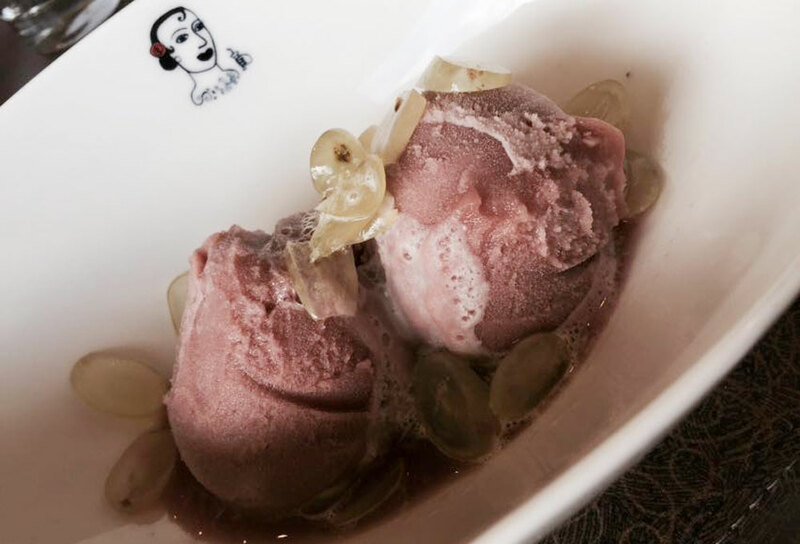 While this is a seasonal special, they’ll still be able make something to satisfy your cravings. If you’re vegan, you can get a veggie enchilada without the dairy, or the spicy black bean without the cheese. I wanted to try the avocado taco à la carte, which can be prepared vegan without the cheese. 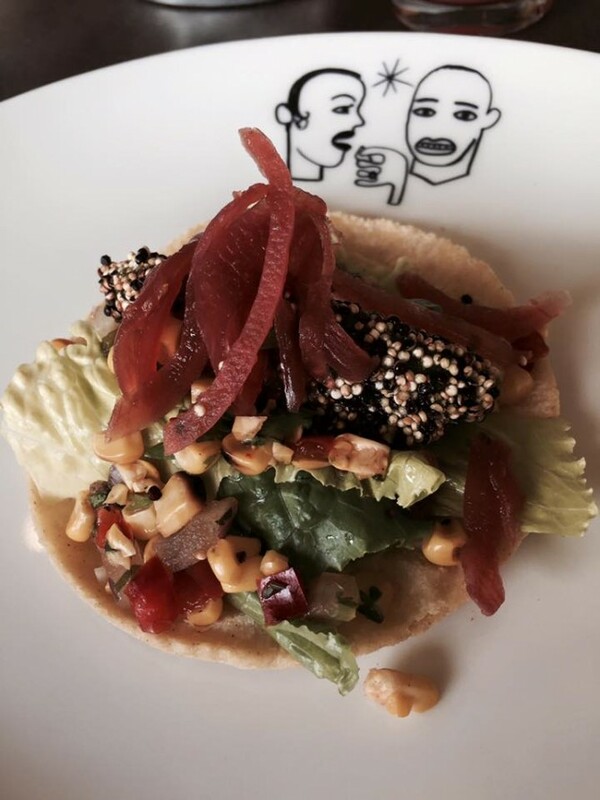 The taco includes red quinoa-crusted avocado, grilled corn relish and pickled onion. I liked how the avocado had a crunch to it, and it’s healthier alternative to deep frying. Since we brought our little one, we skipped out on mimosas and washed our meals down with sparkling lemonades instead. The blood orange is bloody good. 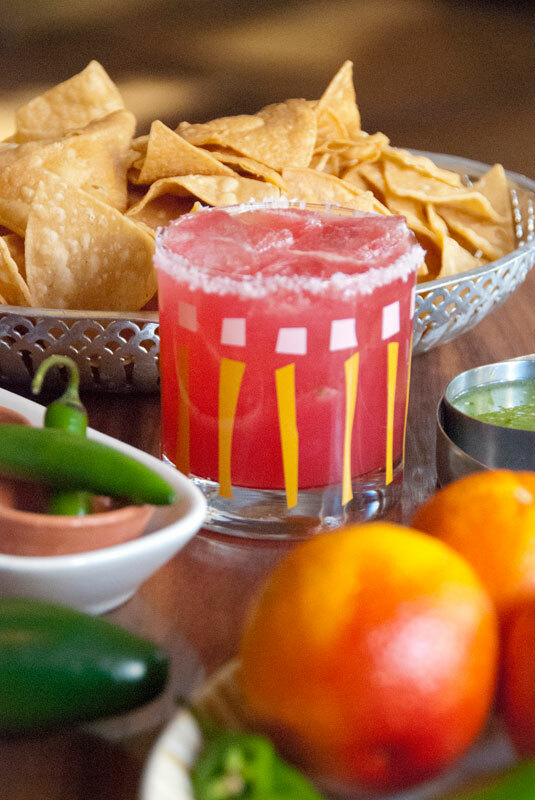 And if you’re into tart and sweet, don’t shy away from the pineapple and vanilla-infused margarita. We’ll make sure to get a sitter next time for that! This brunch was a fun way to start our weekend. 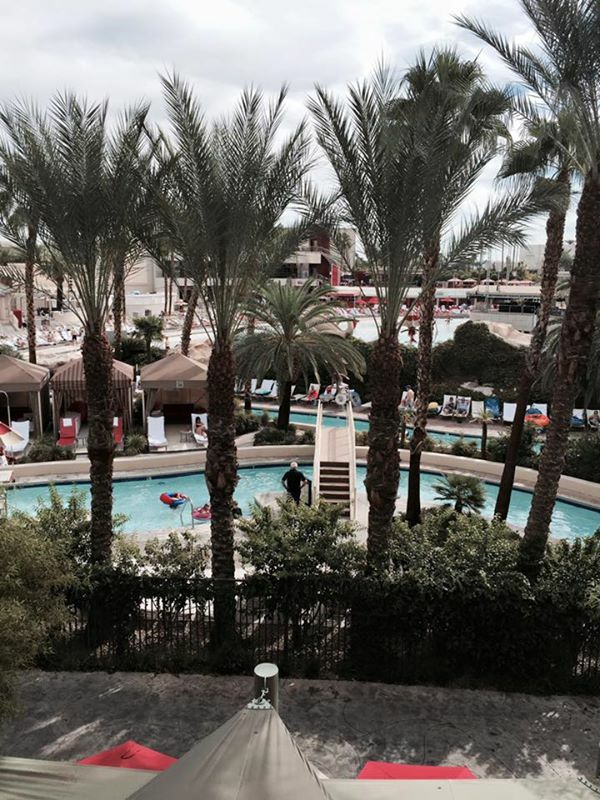 We felt like we were on vacation since we sat outside on the patio, which overlooks Mandalay Beach. I especially liked how they accommodated my vegan needs. The hubby was also pleased with the menu’s creative offerings, items you wouldn’t typically find at most Mexican restaurants. 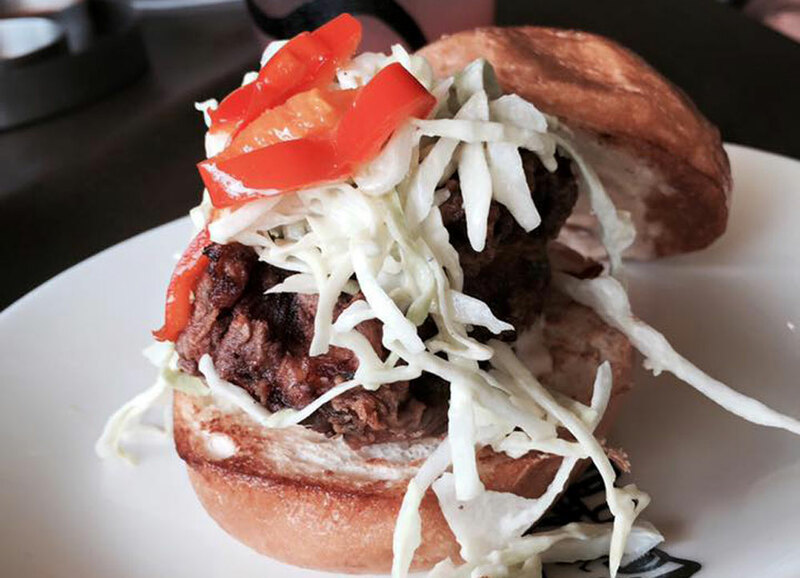 Here’s a look at Mandalay Bay’s Border Grill brunch menu. The Border Grill menu at The Forum Shops is slightly different, so it’s a good idea to hit up both. The Forum Shops location also has a fresh ceviche bar, so you can order the ceviche of the day. Both locations offer seasonal “secret” items, so my hubby lucked out with a mini crispy chicken sandwich. It may be fall, but the flavors were on fire. 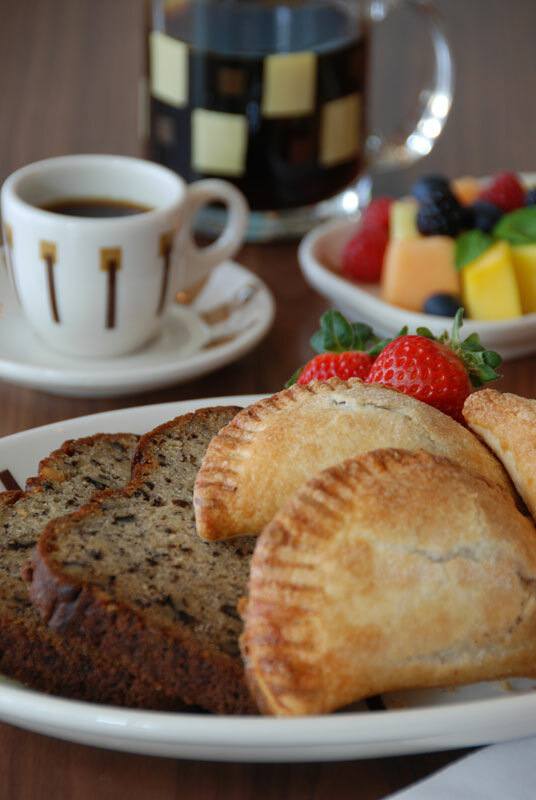 Brunch is available at Mandalay Bay from 10 a.m. – 2 p.m. and The Forum Shops from 10 a.m. – 3 p.m., Saturday and Sunday. If you’ve come to Sin City with a real hearty appetite, read about more popular Las Vegas Mexican restaurants.